​​​In an effort to always have ice cream on hand in the house, we've been playing around with some fun no churn recipes. Basically, that just means how to make ice cream without having to buy an ice cream maker. Because, between you & me, the threshold for making my own ice cream is relatively low. If it's easy and under 10 minutes, I am in. If it means I have to set up equipment and monitor it or involves more than 5 steps, I am just going to go to the store. Needless to say, this recipe is super quick and easy & does all of it's magic in the freezer, so you can go about your day like a champ. Make it in the morning, go to work, and come home to something delightfully delicious! Not bad, right? ​​​​​​Looking for the perfect recipe to try your no churn ice cream making chops out? 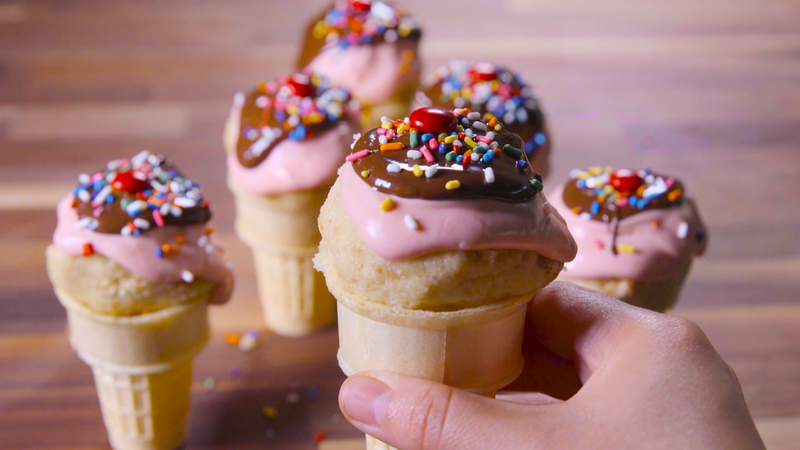 We are big fans of this Birthday Cake Ice Cream recipe. Trust me, you will love it! Plus, it's a fun excuse to play with sprinkles. Enjoy! In a large bowl, whip the heavy cream with a handheld mixer until they form stiff peaks & set aside. Grab a second bowl & whisk your sweetened condensed milk, butter, and cake mix until thoroughly blended. Gently fold the whipped heavy cream into the cake batter mix until no white streaks appear. Add in the sprinkles & gently mix. Pour into a large glass container, cover, and freeze until firm (about 6 hours). Add some extra sprinkles on top, serve, & enjoy! The post NO CHURN BIRTHDAY CAKE ICE CREAM appeared first on Lauren Kelp | Thoughtful Living.